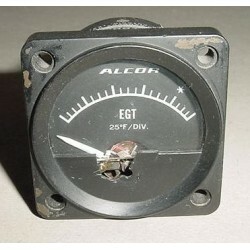 2 1/4" Cessna 172 / Alcor Exhaust Gas Temperature, EGT Indicator. P/N 202A-9A. Sold for display only, as is, no returns. NARCO VOA-40 VOR / LOC Converter / Indicator. Very clean item. It was removed from a salvage aircraft. It was the standard type of VOR indicator installed on dozens of Cessna, Piper, Beech as well as other type aircraft. Visually it checks out ok but I can not test the unit to verify condition. Also OBS knob sticks some when turned at a couple of positions but it still turns all the way. Sold as is, no returns. NARCO VOA-40 VOR / LOC Converter / Indicator. Very clean item. It was removed from a salvage aircraft. 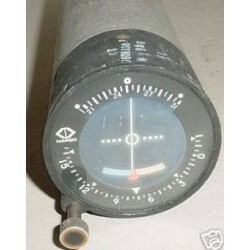 It was the standard type of VOR indicator installed on dozens of Cessna, Piper, Beech as well as other type aircraft. Visually it checks out ok but I can not test the unit to ve..
NEW! 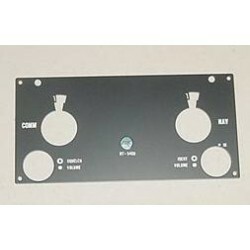 Cessna / ARC RT-540A Nav/Comm Faceplate.